Prof. van Rooij’s researches implementation of law. Part of his work addresses how citizens develop grievances and claims and how this shapes the way they mobilize rights. Most of his research centers on how legal rules shape individual and organizational behavior. Here he draws on the broader social and behavioral science to understand the processes of compliance, as well as the assumptions lawyers have about the behavioral effects of law. He uses innovative fieldwork data both to seek improvement to persistent implementation problems as well as to contribute to existing regulatory, criminological and socio-legal theories. Fields of law studied include environmental law, land law, labor law, food safety law, and taxation. His work has appeared in the The New York Times, The Huffington Post, National Public Radio, Law and Human Behavior, Law & Policy, Law & Social Inquiry, and Regulation & Governance. 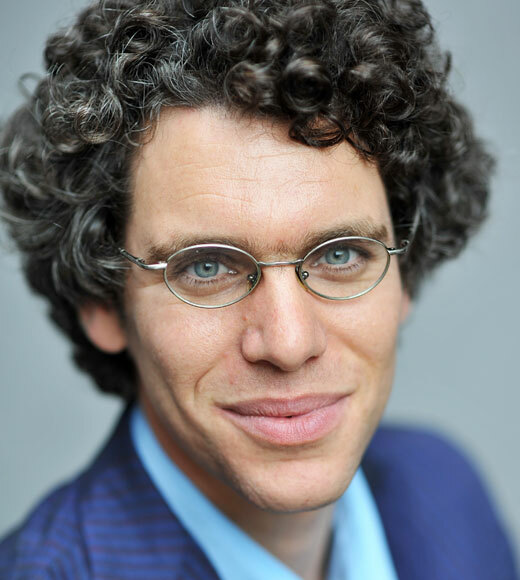 Prof. van Rooij has served as an adviser to the U.S. Environmental Protection Agency, the U.S. National Security Council, the Dutch Prime Minister, the Dutch Ministry of Foreign Affairs, and the Dutch Ministry of Housing, Spatial Planning and the Environment. Fine, Adam, and Benjamin Van Rooij. "For Whom Does Deterrence Affect Behavior? Identifying Key Individual Differences." Law and Human Behavior41 (4) (2017). Van Rooij, Benjamin, Qiaoqiao Zhu, Na Li, and Qiliang Wang. "Centralizing Trends and Pollution Law Enforcement in China." China Quarterly 231 (2017). Li, Yedan, Joris Kocken, and Benjamin Van Rooij. 2017. "Understanding China’s Court Mediation Surge: Insights from a local court." Law and Social Inquiry (published early view online). Yan, Huiqi, Jeroen Van der Heijden, and Benjamin Van Rooij. "Symmetric and Asymmetric Motivations for Compliance and Violation: A Crisp Set Qualitative Comparative Analysis (CsQCA) of Chinese Farmers." Regulation & Governance 11 (2017): 64-80. Van Rooij, Benjamin, Adam Fine, Zhang Yanyan, and Yunmei Wu. "Comparative Compliance: Digital Piracy, Deterrence, Social Norms and Duty in China and the United States." Law & Policy 39, no. 1 (2017): 73-93. Fine, Adam, Benjamin Van Rooij, Yuval Feldman, Shaul Shalvi, Margerita Leib, Eline Scheper, and Elizabeth Cauffman. "Rule Orientation and Behavior: Development and Validation of a Scale Measuring Individual Acceptance of Rule Violation." Psychology, Public Policy, and Law 22, no. 3 (2016): 314-29. Benjamin van Rooij, Weak Enforcement, Strong Deterrence: Dialogues with Chinese Lawyers About Tax Evasion and Compliance, 41 Law & Soc. Inquiry 288 (2016). Benjamin van Rooij, Rachel Stern & Kathinka Fürst, The Authoritarian Logic of Regulatory Pluralism, Understanding China’s New Environmental Actors, 10 Reg. & Governance 3 (2016). Yifan Shi & Benjamin van Rooij, Prosecutorial Regulation in the Global South: Environmental Civil Litigation by Prosecutors in China compared to Brazil, 10 Reg. & Governance 44 (2016). Awarded the Association of American Law School (AALS) award for best paper on East-Asian Law and Society, for “McMorrow, Judith, Sida Liu, and Benjamin Van Rooij. "Lawyer Discipline in an Authoritarian Regime: Empirical Insights from Zhejiang Province, China." Georgetown Journal of Legal Ethics (2017).